We all love to critique photos right? If you’re anything like me, you click on articles that say things like “Horrible Photoshop Mistakes” and spend time trying to figure out how a particular image has been altered. And while there are lots of “bad” photos out there, many of them started with a good idea in mind. Programs like Photoshop are amazing and powerful tools, if you know how to use them right. I’ll go through 10 common mistakes people make in Photoshop, and help you find a workflow that is not only efficient, but ends with a clean and professional-looking product. You may think this sounds like common sense, but I’ve seen people time and time again complete an entire 20-30 minute editing session without saving even once! Things happen: computers crash, programs freeze, tabs are accidentally closed. Prepare yourself for the worst by regularly saving your work, preferably without making permanent changes (we’ll talk about layers later!). When you first open and starting working on a file, save it as a .psd or Photoshop document file, making sure to preserve an unedited version as well. Then throughout your editing process, hit Command+S (or Control+S on PC) to save often. Then, of course, when you are finished, save your work using whatever file extension you deem appropriate (I usually save as both a .psd and .jpg, sometimes as .pdf depending on its final destination). 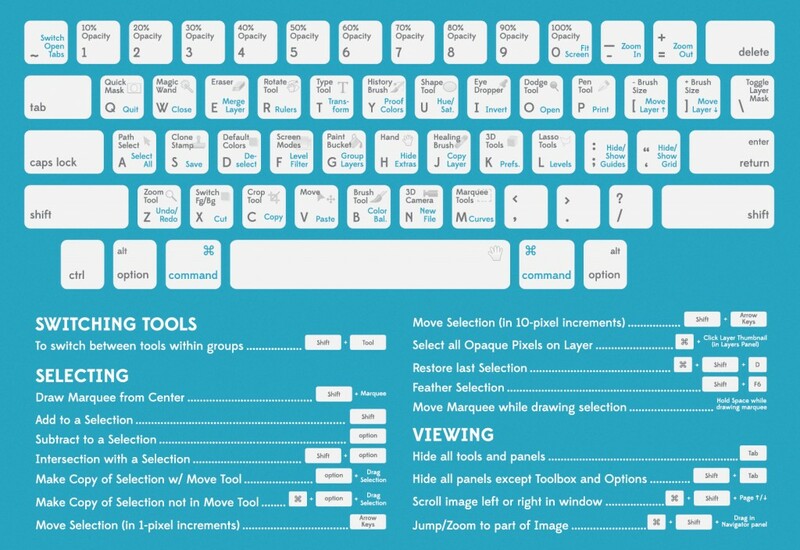 Now, this isn’t exactly crucial, but knowing the keyboard shortcuts for your Photoshop program will save you lots of time and effort in the end. Here is a helpful infographic to get you started. And remember, the more you use them, the faster and more fluid your work can be. Not to mention, saving your eyes from having to search drop down menus and saving your wrists from having to mouse and click everywhere! A little bit goes a long way here, and if you’re stuck or unsure, either exit out of the image file and come back later with fresh eyes…or refrain from touching the saturation slider at all! Most photos don’t benefit from this action anyway. 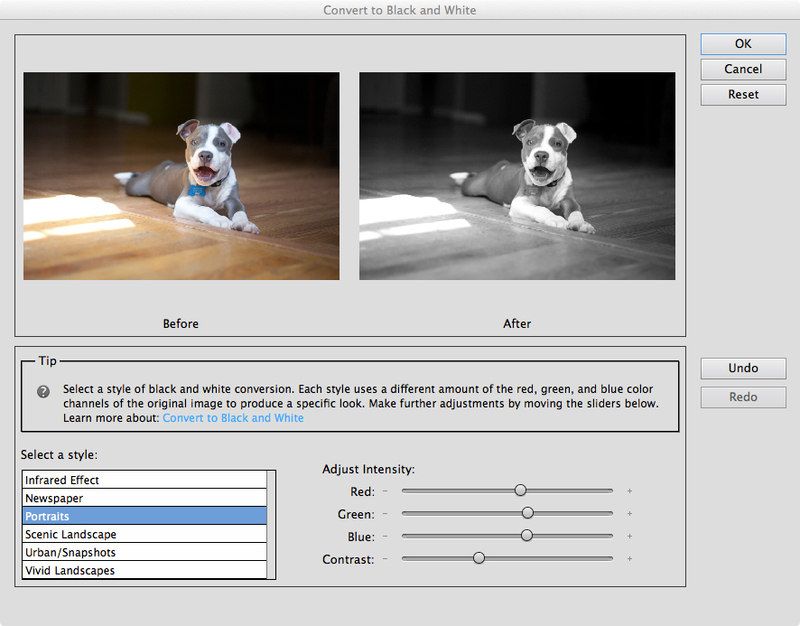 There are better ways to fine-tune your color using the Enhance > Adjust Color > Adjust Color Curves editing tools. Whichever you choose to do, just be sure to air on the side of caution. It might seem handy, when wanting to turn a color image into a black & white one, to simply pull down the saturation slider until you “remove” all the color. But most of the time, this results in a flat image or one that is simply bland. The best way to adjust your color photos into monochrome ones is to use the channel mixer function. This box offers pre-set adjustments for things like portraits and landscapes, but also allows you to control each individual channel for Red, Green, and Blue, as well as overall contrast. It’s easy to just select Enhance > Convert to Black and White! Then you can play around with finding the combination that suits your image best and allows for a wide range of tonalities. Just like with over saturation, it can be super tempting to sharpen your photos past a reasonable point. Sometimes it’s hard to know where to stop, but again, use a light hand here. It’s very easy to tell when an image has been artificially sharpened, and some images are so over sharpened that they hurt your eyes! The higher you go with a sharpening tool, the more pixels start to stand out and your photo becomes more and more grainy. See how grainy the edited version is? It detracts from the warm, soft feel I want to achieve here, and gives your eyes too much to process. Just remember- a softer focus isn’t always bad! Slightly blurry is always better than super-crunchy, pixelated, and over-stimulating. Here we start getting into the genre of “bad” Photoshop jobs and I’m sure we’ve all seen these examples pop up in our social media feeds from time to time. A novice photographer or graphic artist gets their hands on the Filter Gallery tool and proceeds to edit their image with wild abandon, ending up with a strangely contorted final product. This is often done in the name of “art” or “creativity”, which by the way, are both perfectly fine things! But if you’re looking to present clean and professional images, use the filter gallery sparingly, or stay away completely. Just because a picture looks awesome as a cutout doesn’t mean it should be edited that way! Living in the era of ubiquitous photo editing programs has shaped the way our culture critiques images. Our love or hate of a particular look and feel to our photos shifts from year to year to reflect trends in fashion, design, and social aesthetics. Unfortunately though, many photographers get caught up in these trends and end up editing their images in a way that is not only unoriginal, but won’t stand the test of time. For example, now in 2014, there is a huge push for heavily processed images (a la Instagram filters) that have a grungy, two-toned look that is supposed to mimic vintage film. The trends of soft halos/vignettes and fake bokeh (the blur in the out-of-focus areas) are still going strong, along with the “hipster” look which is characterized by multi-color toning, cross-processing, light leaks, and soft grain. While some of these things may look cool and may be what your friends like at the moment, it’s always smart to stick with classic editing techniques that will result in a clean, straightforward image. At the very least, save a copy of both a clean edit and a “trend” edit! These days, it’s nearly impossible to see images in media that haven’t been heavily edited, especially in advertising. But despite these photos not being true reflections of reality, many people have come to expect the same outcomes from their own amateur and candid photography. In the industry, designers are paid well and spend many hours touching up images of celebrities, models, and products…and those ideas trickle down to your average consumer. People expect every image from headshots to party shots to be edited to make them “look their best”, and this can be quite the slippery slope. Everything from teeth whitening and blemish zapping to the full-on body contouring treatment is leaking into average, everyday photos. It’s tempting to edit your images to remove every “flaw”, but in the end, you can end up with very fake-looking subjects! When in doubt, go easy. It’s okay to use the Smart Brush tool to whiten teeth (you can also use the Dodge tool if you have a steady hand) and brighten eyes, but just be sure to play with the opacity slider in order to find a natural look. Also, be wary of using Blur or Smart Healing Brush to erase wrinkles- these can end up looking very strange and give an almost waxy appearance to skin. It’s especially important when working with individual edits to work with layers…which brings me to my next point! 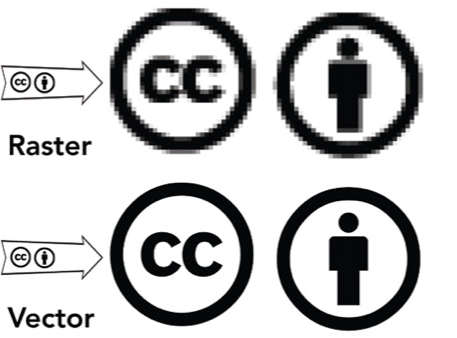 For some reason, there are two groups of people who use Photoshop: those who employ layers and those who don’t. 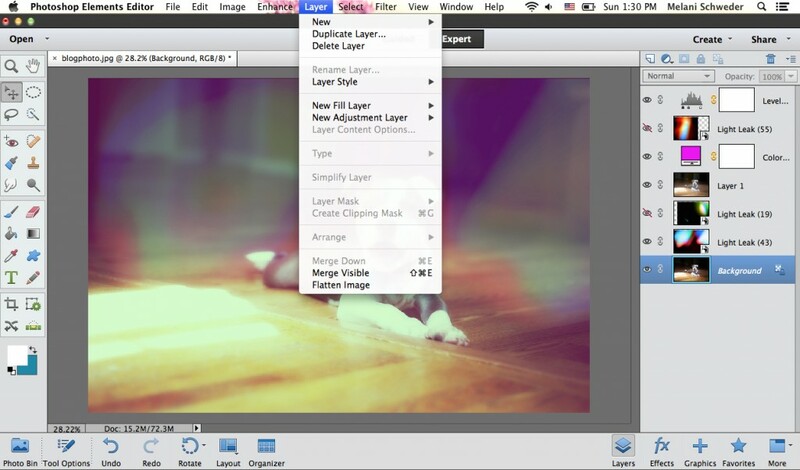 If you are doing any editing beyond the “auto” categories, I highly recommend using layers. These are extremely helpful to keep your edits organized, separate, and to avoid making permanent changes. Assign one layer to each process or technique, and take advantage of the different masks and blending modes available. You can also “see” and “unsee” each individual layer, so you can easily toggle between pre- and post-edit looks, all without altering the base image. This also helps you keep track of the many edits you’ve done in a visual and interactive way, making it simple to delete or alter each layer until you’ve found the desired mix for your final product! This is the image I worked on for the example in #7, and you can see that I worked with layers here. I have my base or original image, along with a copy, superimposed with layers in which I manipulated color masks, levels, and light leaks. And I could change those at any time or just get rid of them all to go back to square one. I could write an entire tutorial just about layers, but for now, just start experimenting with them- you never know what you might learn that way! I see this one quite a bit, and I have to admit, I’m even guilty of it myself. Some people are so blown away by Photoshop that they use it for every single project they have: from designing logos and graphics to putting together posters and brochures. Unfortunately, Photoshop does have its limits and while it’s awesome at manipulating images, it’s not so great at things involving a lot of text or graphic design. You see, Photoshop is a pixel-based program, which means everything is based upon a grid of tiny dots, which hold bits of information that make up an image. This is fine for traditional photography and some web work, but has disadvantages when it comes to print media and resizing. So if you have the budget to allow it, consider adding Adobe Illustrator to your box of digital tools. This will prevent you from having to rely on Photoshop for things that frankly, shouldn’t be there!